The Tech Works CI-ODC-1 Operator Desk Console is part of the Collaborative Intercom product group designed to take a variety of Audio Intercommunication products and let them talk to each other over the Tech Works CI-Buss. 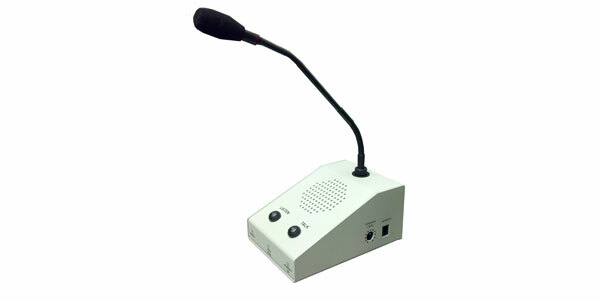 The CI-ODC-1 includes a professional cardioid, condenser, gooseneck microphone, and a speaker. Buttons and indicators provide control to allow the operator to just listen to the CI-Buss communication or to talk, and collaborate hands free. A headset jack on the side of the console allows connection of a local operator headset such as the CS-540 wireless unit. The CI-ODC-1 can be used in a small Intercom when connected to a single CI-Buss product or as an addition to larger systems using microphones, speakers, and a variety of CI- Buss and PA-Buss devices. The Intercom can simply plug together using standard CAT-6 patch cables. When connected to another CI- Buss unit all headsets, speakers and microphones become part of that system. The CI-ODC-1 provides a level of flexibility and control unmatched in communication. Power: 24VDC, 1A Power Supply (Not included) Weight: 2 lbs.